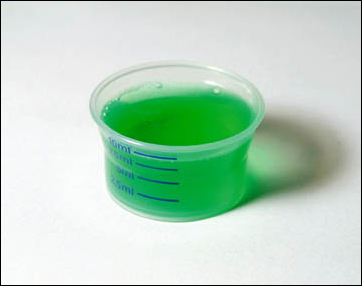 Methadone facts on this pages range from general info, effects, addiction, and risks of use. Methadone is one of a number of synthetic opiates (also called opioids) that are manufactured for medical use and have similar effects to heroin. Methadone and Subutex (Buprenorphine) are used as opiate substitutes for heroin in the treatment of heroin addiction. Opiates are sedative drugs that depress the nervous system. They slow down body functioning and reduce physical and psychological pain. The effect is usually to give a feeling of warmth, relaxation and detachment. Methadone can help to relieve feelings of anxiety. Methadone doesn't deliver the same degree of buzz or high as heroin. It allows people to tackle their psychological addiction and stabilize their lifestyle when used as a substitute for heroin. Such treatment may be continued for a long period of time in some cases. In treatment, opiate substitution therapy, such as methadone and Buprenorphine, is usually aimed initially at obliterating withdrawal symptoms and supporting stabilization of health and lifestyle. The dose can subsequently then be reduced slowly by agreement until the user is off the drug completely. There are still problems with heroin withdrawal symptoms, but this method is much less severe than going "cold turkey". The methadone that's prescribed to people trying to come off ‘street’ heroin is usually a liquid which is swallowed, but it can come in tablet or injectable form. Subutex (Buprenorphine) is dissolved in the mouth. Effects can start quickly and can last several hours. Methadone that’s prescribed by a doctor is subject to stringent controls, as with any other medicine, so you can be sure of its strength and that it has not been tampered with. You can't be as sure with methadone that's bought on the street which may be an unusually concentrated variant and more powerful than expected. The risks of methadone are the same as with heroin: it is and will always be a heavily sedative drug and therefore hard to kick the habit definitely. Mental dependence is the hardest thing; the underlying problems still exist and starting a new life is difficult and hard. And in the mean time, the need for heroin stays and may cause a relapse. Some people are sick the first time they take it and they can become constipated. With high doses, the sedation dominates and users feel sleepy. Too much and you can fall into a coma or stop breathing completely. Many women don't have periods when they use opiates regularly. If they cut down, or stop, the periods may return. There's a good chance of getting pregnant during this time if they don't use contraception. Opiates may possibly increase the risk of miscarriage and still births and opiate users may give birth to smaller babies. It's not a good idea to stop using opiates suddenly if you're pregnant as this can cause premature labor and miscarriage. Methadone may be continued throughout pregnancy to minimize such risk. Your driving license is invalid on a methadone treatment program unless agreed by the DVLA following receipt of supportive medical advice.